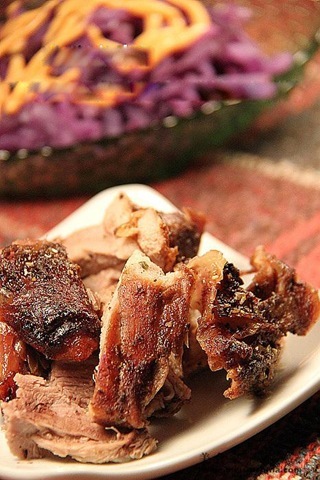 I think many people feel like eating lamb, and I cooked this food was very different. The main spices are very special- barbecue sauce and cumin are all at no cost to "reuse" . 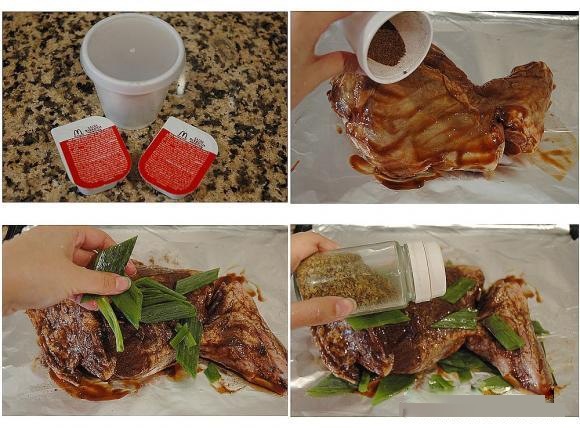 the barbecue sauce was the rest when my son ate McDonald , cumin powder is packaged after eating soft-fried fillet in a Chinese restaurant , instead of wasting, the better is to make full use of them. And then, sprinkle the marinated leg of lamb with cumin, onion,chopped herbs. At last, preheat oven to 220 degrees, bake 25 minutes,remove the leg of lamb ,turn it over and continue baking 25 minutes.